Our newly built pension seats in a quite area of Demanova village on the way to Slovakia biggest ski resort Jasna. 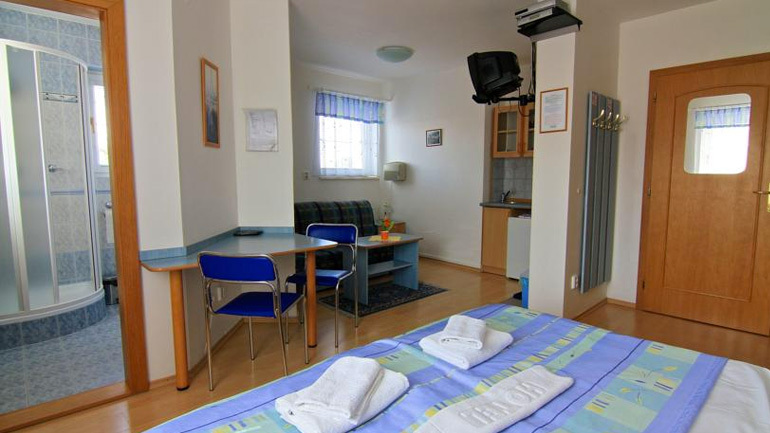 Penzion has fully equipped rooms with a small kitchenette, fridge and electric kettle. 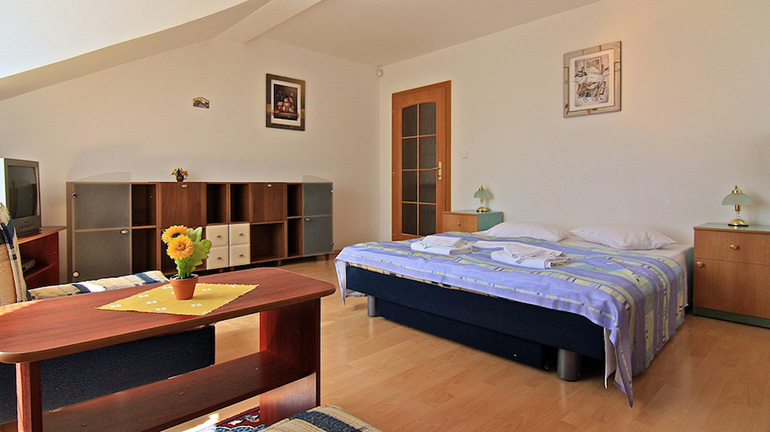 Rooms vary from a standard double room to a fully functional apartment. 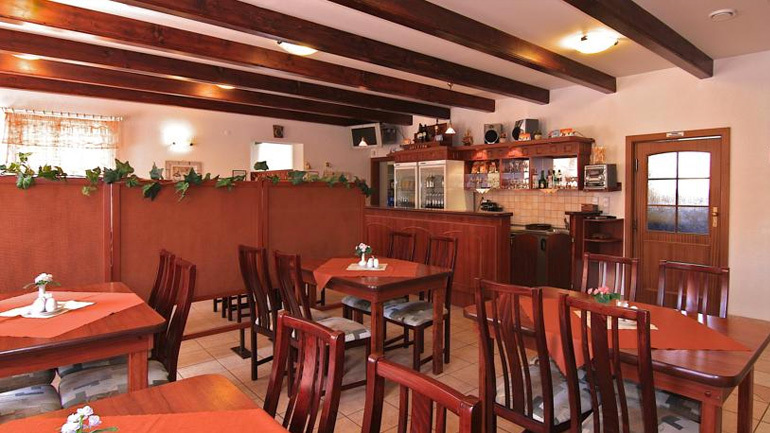 Pension Maxim invites you to use its common area which offers a TV corner full of films and a PlayStation unit. It's a great place to pass the time and relax with your friends and family throw out the stay. The common are is connected to fully equipped professional kitchen where our guest can use for cooking at any time during the day. 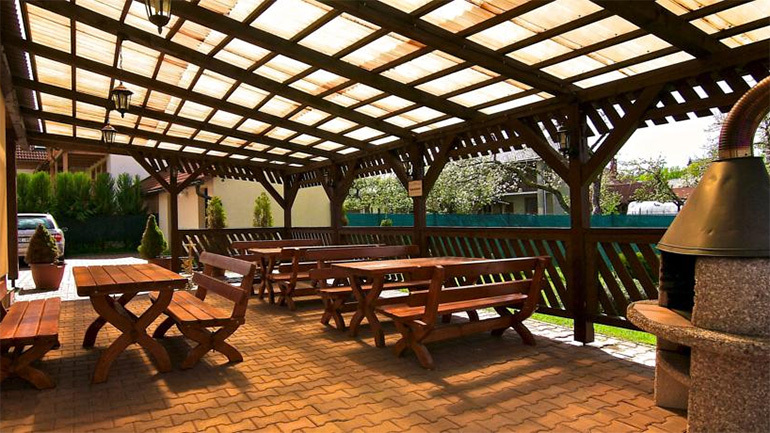 Outside the pension we have a covered terrace where you can barbeque while watching your friends or family enjoying our professional clay tennis / volleyball court. 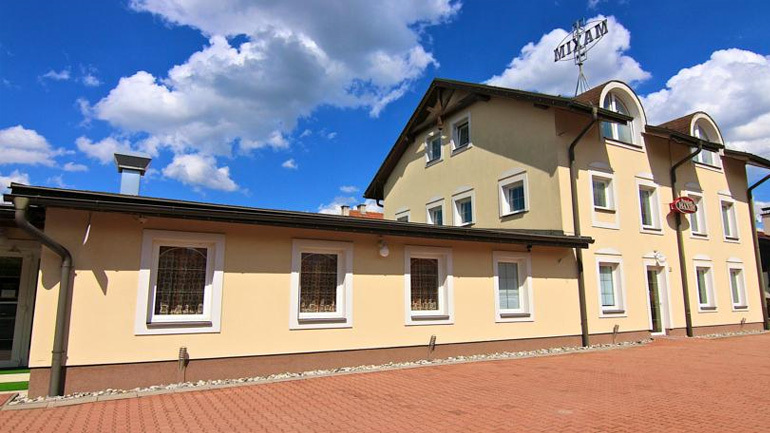 Pension Maxim provides a perfect environment to relax considering a big area around for your kids to enjoy, including Ping-Pong table, darts and bicycle rent on site! It's an excellent exit point to all attractions around, restaurants and food stores in short walking distance or the bus stop is just 300 meters away. Pension Maxim also gives you a place to dry your boots after skiing and a secure place to store your equipment. 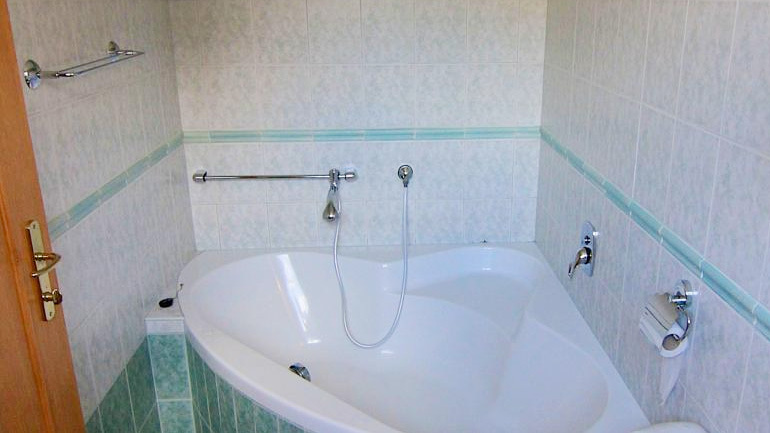 Perfectly it furnished room and bathroom. 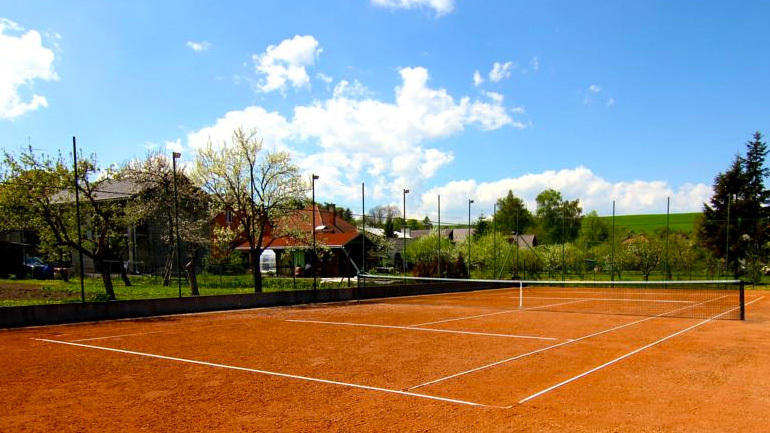 Big Plus is also own tennis court and the playground. Our newly built pension seats in a quite area of Demanova village on the way to Slovakia biggest ski resort Jasna.